The African Securities Exchanges Association (ASEA), a premier association of 25 securities exchanges from across the continent—will hold its annual conference in Johannesburg from 15 – 17 November. ASEA President Oscar Onyema said that the theme of the conference—Africa Evermore: Growth for sustainability—embodied the potential, growth, and stability of Africa’s capital markets. The Johannesburg Stock Exchange (JSE), the continent’s largest and member of the World Federation of Exchanges (WFE), will host the conference. “The conference is important as it features high level discussions covering themes that are relevant to our capital markets and opportunities to network with leading industry players from across the continent,” said Onyema. JSE Chief Executive Officer, Nicky Newton-King said the packed two-day programme would provide delegates with an in-depth understanding of the strength resulting from the integration of Africa’s security exchanges. One of the topics up for discussion will be to look at the “Role of the Exchange as a Corporate Citizen”. Increasingly, investment decisions are being driven by considerations of risk, impact, and sustainability that are far wider than just financial returns. ASEA assists in promoting and educating members and stakeholders on the importance of socially responsible investments and the need to pay attention to environmental, social, and governance (ESG) issues. Delegates will also have the opportunity to explore how to attract Sovereign Wealth Fund (SWF) investors and examine how they see Africa’s Exchanges. Malawi Stock Exchange CEO, John Kamanga, who will be moderating the discussion, said the conference played a large role in focusing attention on what was happening on the African stock exchanges. A number of ASEA’s member countries have already launched SWFs, including Angola, Ghana, and Nigeria. SWFs invest surplus revenues and can be an effective fiscal stabilisation mechanism, enabling governments to access liquid assets, and channel investment into specific projects like infrastructure development. 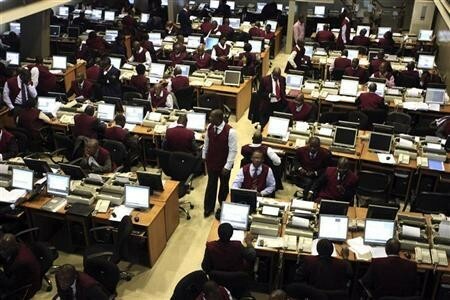 Onyema said that capital markets have been the key drivers of Africa’s economic transformation and continue to play a central role in the continent’s growth story. Will 45m Poor Americans Determine 2016 Presidential Race?